If you need to repair the roof or remodel your home for any reason, choose our Baldwin roofing and remodeling contractors. Magnum Contracting Group always put your needs first. You'll have quality workmanship, great durable materials, and full project management from start to finish. We have earned a reputation of being one of the most reliable remodeling contractors in the Baldwin area. Call today and let us sit down with you to discuss your needs. We offer reliable Baldwin roof repairs, remodeling, and insurance restoration services. 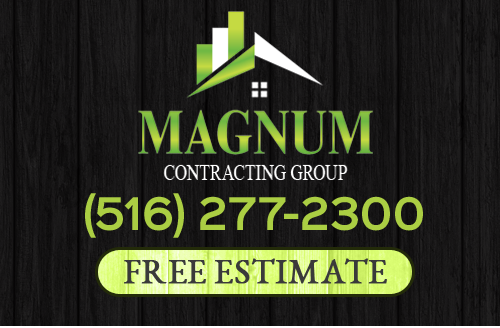 It is important to let a professional restoration company like Magnum Contracting Group take care of your Baldwin roof repairs or fire insurance restorations. Aside from fire and smoke damages, water damages are caused when the fire is put out. Whether fire damages are large or small, the homeowner can be left in unlivable conditions. This is a stressful time for everyone involved. Our expert Baldwin insurance restoration contractors will do the most possible to ensure everything is properly restored. Our goal is to make the process as easy for you as possible. Call us whether you have storm damages or any other insurance restoration needs. You'll be in great hands with your Baldwin roofer! Ready for a new kitchen or bathroom space? Ready to create extra living space by remodeling your basement? Need your home expanded? Want to update it all? Magnum Contracting Group will work within your budget and time constraints to provide you with the best possible Baldwin remodeling services. All our services and products are of the highest quality. Call today. Let us take a look at your home and offer you an estimate. If you are looking for a professional Baldwin roofing contractor or remodeling company, please call 516-277-2300 or complete our online request form.